My book is about a girls named Cammie and how she goes through difficult times with no mother. Cammies mother died when she was a baby. They were walking in town when a milk truck hit Cammies mom but sitt enough time to push her baby out of the street. This is a good book for 4th through 8th grade. 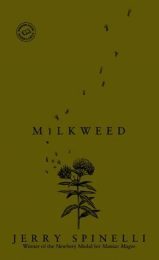 Milkweed is a historical fiction book about a boy named Misha. He lived during the time of the Holocaust and he was a Gypsy. He was friends with a girl named Janina who was a Jew. He didn’t go to a ghetto but she did so he found a way to get in the ghetto. There was a hole in the wall and Misha would go in it so he could visit her. Janina’s mom sewed him a Jewish armband so he could live with Janina’s family. Misha and Janina’s went threw the hole to “Heaven” (the other side of the wall) to steal food. Will they survive? Read the book to find out. Jake and lily are twins the book starts off by being them sharing a life then when they have there own rooms everything changes read the book to find out more. 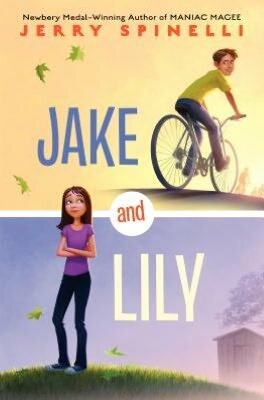 This is a great book.Jake and Lily are twins and were really close but there growing apart as the get older.I liked when Jake and Lily come close.I recommend this book for fourth and up. This great book is about a kid that lost his parents, he is a runaway always trying to find better family. After what his aunt and uncle did to him there is no way he is going back there. Most people have even cried after reading this great book. 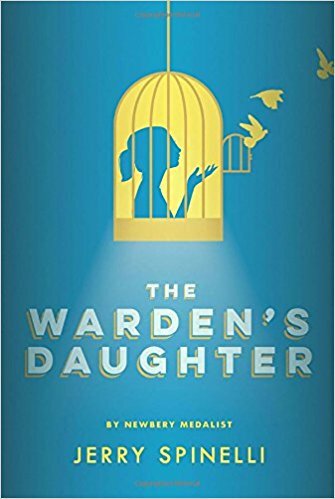 Jerry Spinelli is such a great author. I recommend every single book he wrote to YOU! The title of this book is Maniac Magee. It is by Jerry Spinelli .It is a sad but good book . 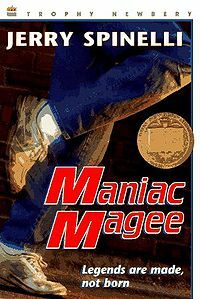 The main character Maniac Magee’s parents die in a car accident. Then he is a hobo who lives in a zoo.No one in his town accepts him because he is white living with a black family . My favorite favorite part is at the end so I cant say what it is but it’s nice. i think people who are interested in black and white segragetion would like this book. Also people who like adventure. If you’re a fan of Lisa Yee’s Bobby books, then I think you should meet Suds; I think he and Bobby would be friends! 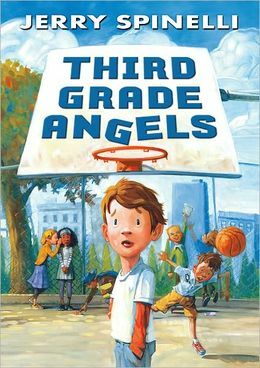 In Third Grade Angels by Jerry Spinelli, Suds is starting the new school year with a mission: All the third graders at his school are competing to be as “angelic” as possible, and they’ll each earn a halo from the teacher as they prove themselves. And who will be the first person to win a halo? Well, Suds is determined that it will be him! But it’s hard work being so good. Being kind to his annoying little sister, controlling his outbursts at school, showing his teacher how much he cares… It’s enough to make anyone a little bit crazy. Not to mention the other kids who are also clearly out for the first halo — no matter the cost! Will Suds get the first halo? I certainly rooted for him. And I think you will too, because Suds isn’t perfect and he’s not a natural hero, but he tries his best — in other words, he’s just like you and me! Have you read Third Grade Angels, or the other book about Suds and his classmates, Fourth Grade Rats? 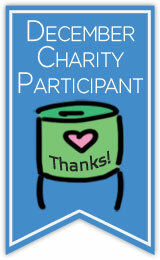 Leave a comment with your thoughts or submit a review! Oh my this book is so good! This is one of my favorite book list! If you like any book funny yet sad then no dout you will like this book.